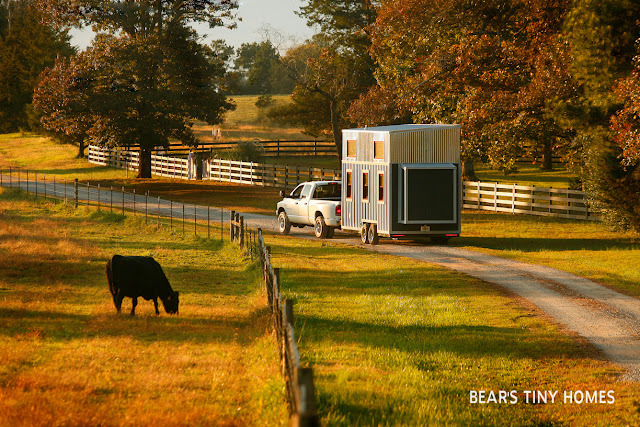 From Bear's Tiny Homes is this eclectic tiny home on wheels! Dubbed the "Blue Belle", the home has a colourful exterior of corrugated metal, blue board and batten siding with a red door and accents. Inside the home are bright white walls with wood flooring and an open floor plan. The kitchen features plenty of storage, a stainless steel double sink, and stainless steel appliances, including a four-burner stove and microwave. The living room comes with a sofa with storage underneath and a folding table that's ideal for dining and/or use as a workspace. The bedroom of the Blue Belle is located upstairs, via stairs. 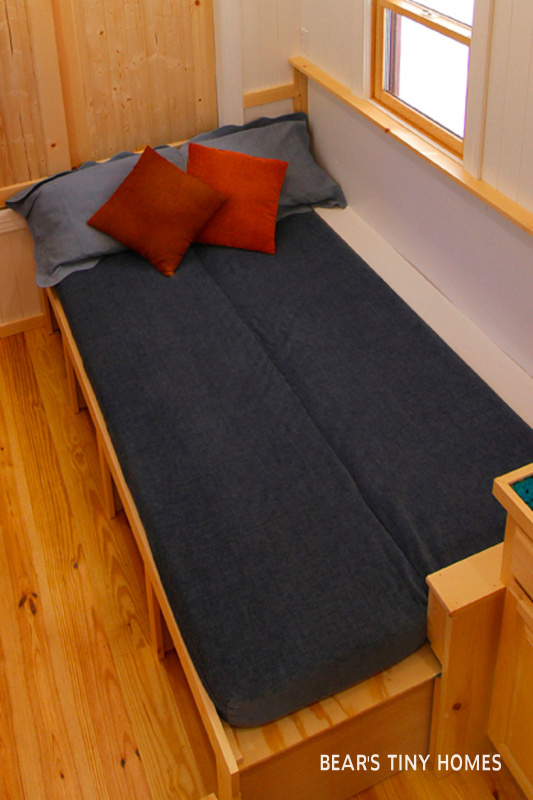 For more information on the Blue Belle, contact Bear's Tiny Homes here! Also be sure to check out the Highland home, also by Bear's!